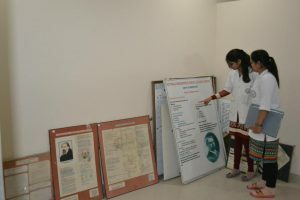 Welcome to the department of Case taking and Homoeopathic Repertory Spacious, well furnished and well equipped department. 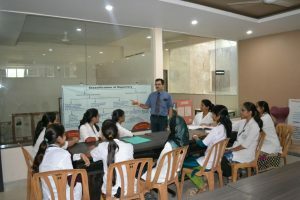 Use of modern teaching techniques like power point presentations, audiovisual aids, charts, transparencies for regular lectures. The open discussion, seminars, Journal club presentations & case presentations are conducted frequently amongst students..Both Postgraduate and Undergraduate Departments have various Repertories like General Repertories, Clinical Repertories, Concordance Repertories, Card Repertories etc. in addition to large number of reference books Study of different Repertories through variety of charts for easy and better understanding. 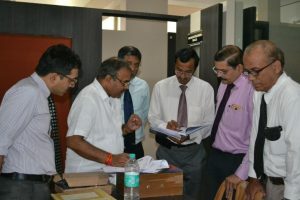 Department is equipped with COMPUTER LAB which comprises 10 computers with different Homoeopathic software for easy computer based repertorisation.Currently department is working towards establishing the Museum for the department. The department organizes regular seminars inviting stalwarts of National and International repute. 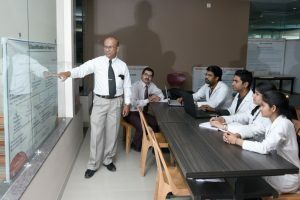 Students of the college get the privilege to learn repertory from writer of Synthesis repertory and co-founder of RADAR Software Dr Frederick Shroyens through the webinar workshops.